Spirit Meter - Tribal Councils Investment Group of Manitoba Ltd. 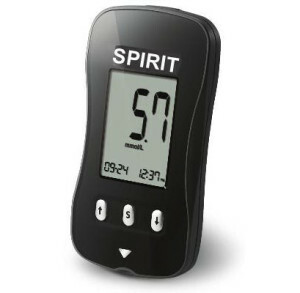 The First Canadian Health SPIRIT meter is a simple, no-coding meter, which calculates and displays the averages of total test results, pre-meal and post-meal test results from the last 1,7,14,30 and 90 days. Ideal if you need to test frequently or require alarms to remind you to test at meal times. The meter stores 500 records.